Advanced Dental Care’s Director, Dr. Amirian, practices comfortable, health centered dentistry using only the most advanced technologies, materials & procedures. In addition to his technical proficiency, he is a careful listener & will explain beforehand which treatment is best for your individual needs. By combining the most up-to-date methods in advanced dentistry with a unique personal touch, he will make you and your family more comfortable than you thought possible. Dr. Amirian earned his degree, from the University of Buffalo School of Dental Medicine, one of the top five dental schools in America. 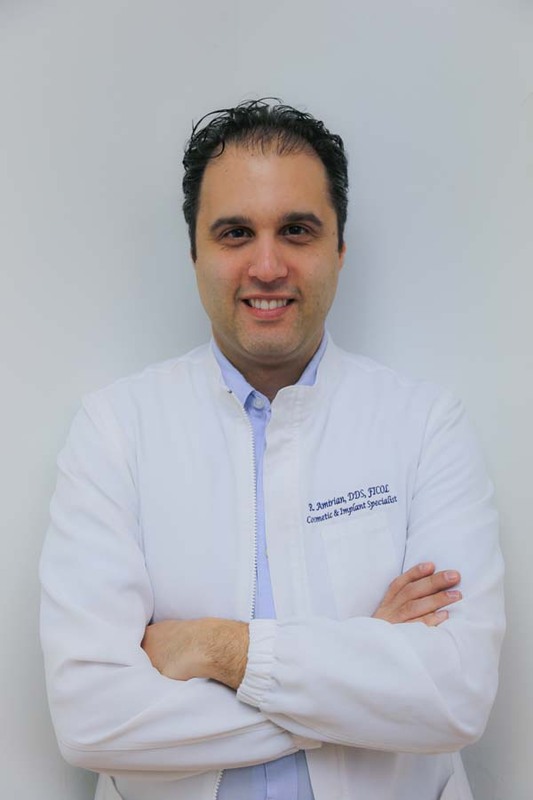 He is a member of the American Dental Association, the Academy of Cosmetic Dentistry and a Fellow of the International Congress of Oral Implantology. He has taken numerous courses including those in full mouth rehabilitation and implantology. He has also volunteered for the Give Back A Smile Program, helping those who have been the victim of domestic violence. In his spare time, Dr. Amirian enjoys watching and playing sports, reading & excercise. Dr. Amirian looks forward to showing you the ways in which exceptional dentistry can improve your life. Visit our Reviews page to see actual patient testimonials.